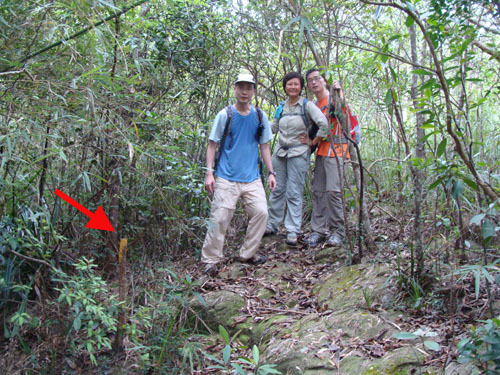 This stream is quite famous because it is prominence on the map. The villages nearby have a history of anti-Japanese occupation. 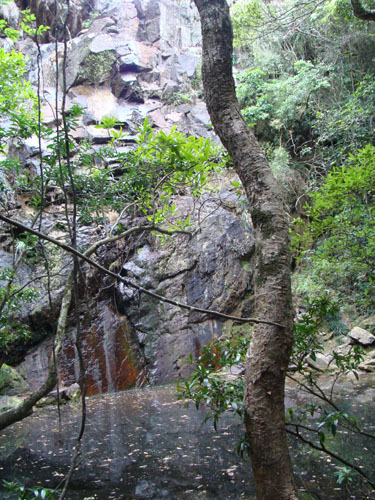 It is however, the stream is rather short and it does not sustain an attractive swimming pool nor a great waterfall. You don't need to bring swimming gear for sure. 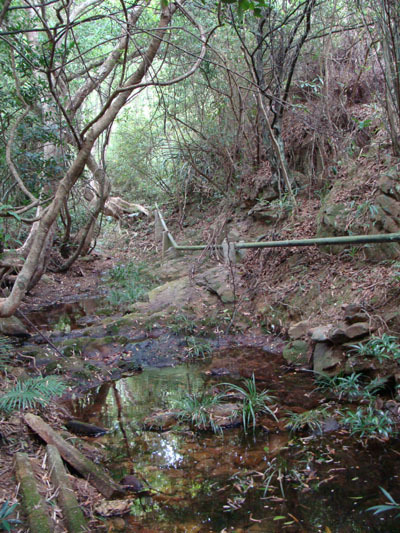 The stream is quite narrow and is mainly embedded in a forest. This little junction brings you to the lower stream. 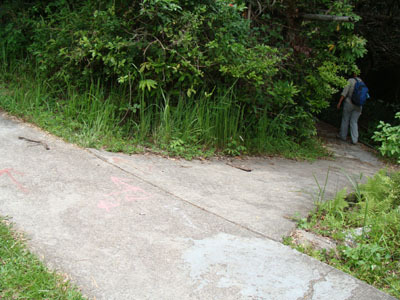 There is footpath more or less parallel to the lower stream. I would rather not to jump to the lower stream too early. We arrived at a small reservior the villagers use to collect fresh water. The reservior has some clever design to prevent blockage. Check it out. 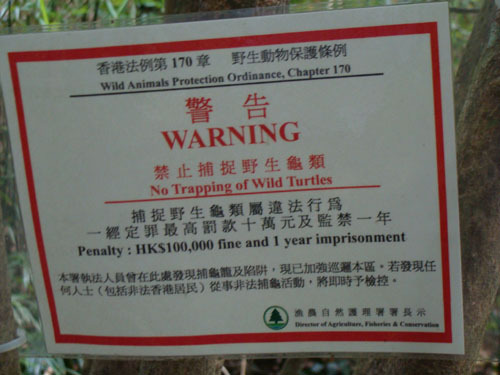 Top Left: It is the first time I found a notice in the middle of remote water stream warning people not to catch wild turtles. You can really find a turtles trap by pool side. 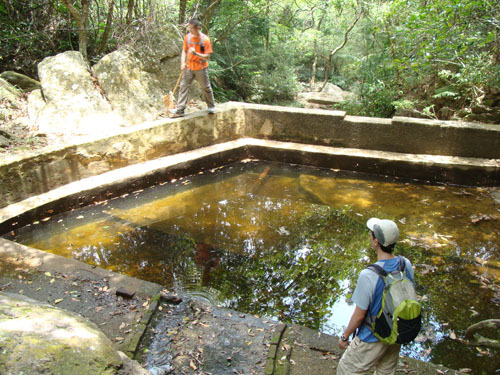 Top Right: Therefore, this pool is called Turtles Pool (烏龜潭), the biggest pool in this stream. Although this pool is not small and is deep, it is dirty and the water is stagnant. Left: We took the faint route on the right to get to the top of the water fall. It is quite an open area for resting and enjoying lunch. Since the upper stream is getting narrower and narrower, we decided to leave the stream here. There is no ribbon marking the exit. On the contrary, there is a hacked tree trunk standing at the exit location. You can follow the faint footpath on your right which lead you up to the mountain. The footpath will get more and more fuzzy. 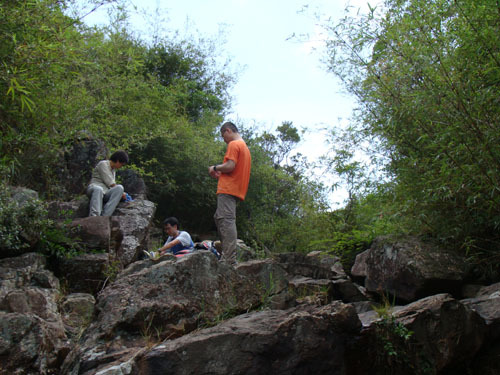 Just follow your hiking instinct, you will event come across a small tomb site. 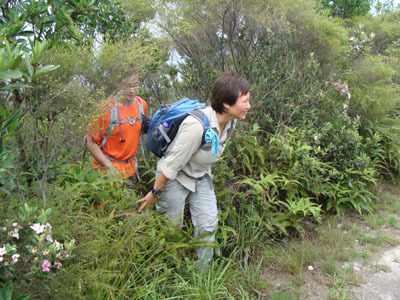 At top of the biggest tomb, there is a clear footpath that bring you to the ridge. Here we go. 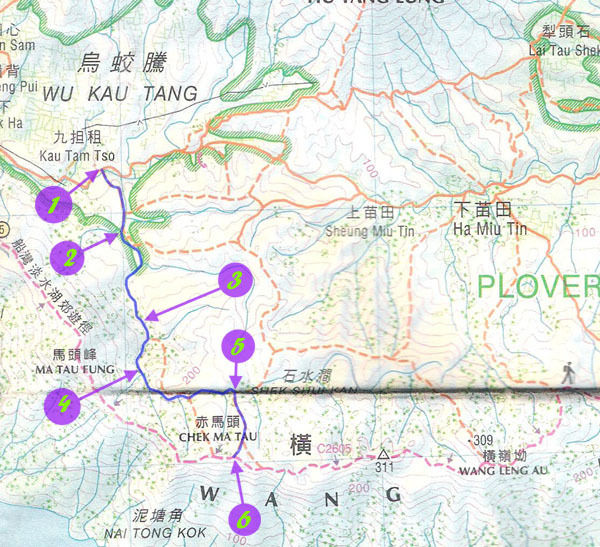 We are back to Wang Leng (橫嶺). 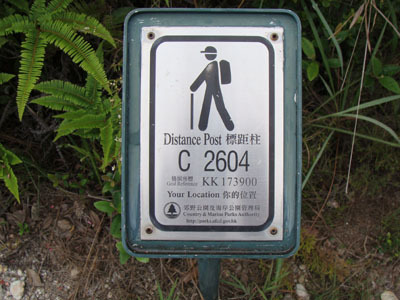 Right next to the exit, you will see the Distance Post of C2604.